The price for Spacewood Engineered Wood King Bed With Storage ( Finish Color - Vermount ) is valid across Bangalore, Hyderabad, Chennai, Mumbai, Delhi, Pune and Kolkata. 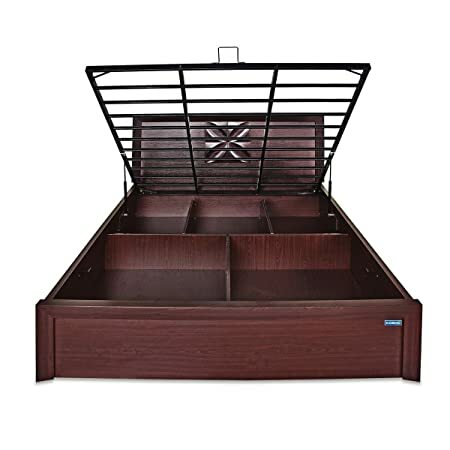 The Spacewood Engineered Wood King Bed With Storage ( Finish Color - Vermount ) is available at best price of INR 22665 on Flipkart. Product is good, but it was listed without installation. I failed to notice that before ordering. If local carpenter is not skilled enough to do this, he may end up damaging the furniture. Grooves for bottom plank on which storage boards are to be placed were missing.